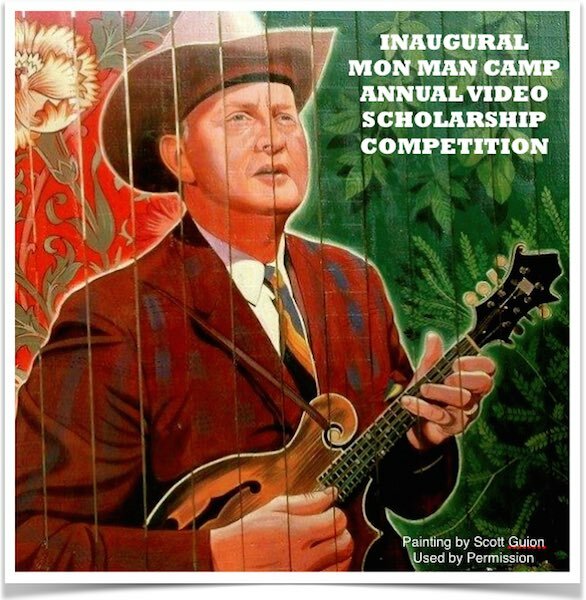 Organisers of the Monroe Mandolin Camp are looking for video submissions for their first Annual Video Scholarship Competition. The winner will be awarded a full scholarship, including tuition, lodging, and meals. Your name, email address, and telephone number. At the beginning of the video recording, please announce your name and title of tune being played. Competition open to all ages and all levels (Beginner to Expert). Videos must be under 4 minutes. Why is this camp, and the study of Bill Monroe’s music and traditional bluegrass mandolin music important? Why does the candidate want to come to this camp? What does the candidate expect to take away from the camp? Entries will be accepted beginning Sunday June 21st and ending Wednesday July 1, at 11:59 pm. The winner will be notified by telephone and email by July 15. With permission, the winner’s video will be posted on our Facebook page after announcement.